however, there also is no question regarding the uptake capability of nutrients by the roots of these plants. Most studies confirmed that although shoot uptake occurs, the major source for nutrients is the sediment. 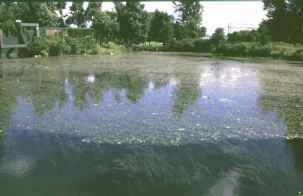 Submerged plants are commonly covered by periphy-tic algae, especially under conditions of higher nutrient concentrations in water. These algae usually take up large amounts of nutrients which may add to nutrient removal from the water. However, if macrophytes are not harvested, nutrients return back to the water column after algal die-off. The development of epiphytic communities on the leaves of vascular plants may reduce net production through several mechanisms other than photosynthetically available radiation (PAR) attenuation, including the reduction of diffusive transport of inorganic carbon, nitrogen, and phosphorus. Reduction of photosynthesis of submerged plants was observed to correspond with increasing epiphytic material associated with nutrient enrichment. It has been reported that biomass of submersed macrophytes decreased significantly with increasing nutrient concentrations in the water. 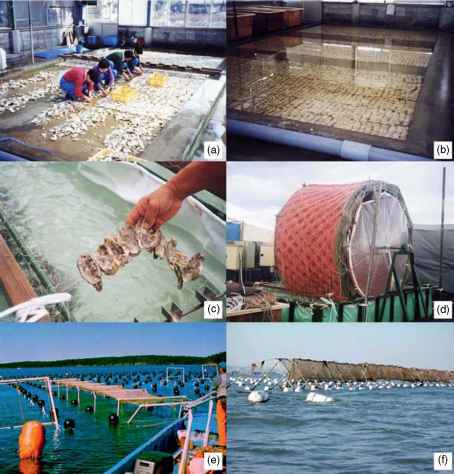 They concluded that this reduction was because of increased periphyton and phytoplankton growth due to nutrient additions which resulted in increased light attenuation. Depletion of dissolved inorganic carbon in water and increase of dissolved oxygen content caused by photosynthetic activity create optimal conditions for volatilization of ammonia, chemical precipitation of phosphorus, and for the mineralization of organic matter. Large amounts of nutrients from water and released from senescent tissues are also assimilated by epiphytic algae which are often present. Much of the detrital matter produced in these systems will be accumulated and retained in the sediments. Submerged plants, however, only grow well in oxygenated water and therefore cannot be used in wastewater with a high content of readily biodegradable organic matter because the microbial decomposition of the organic matter will create anoxic conditions. In addition, the turbidity of the water must not be too high to prevent light transmission to the plants to support their photosynthetic activity. As a result of literature survey on submerged macrophytes it seems that the use of treatment systems with submerged plants is limited to waters with low nutrient concentrations, low turbidity, and low concentrations of organics. The prime potential use of submerged macrophyte-based wastewater treatment systems is therefore for 'polishing' secondarily treated wastewaters, although good treatment of primary domestic effluent has been obtained in an Elodea nuttallii-based system in New Hamphshire. Submerged vegetation very often develops voluntarily in CWs with emergent vegetation. 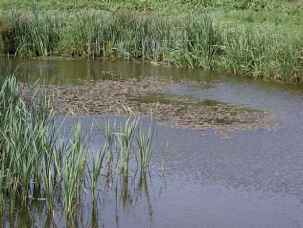 For example, submerged plants Potamogeton pectinatus (sago pondweed) and Eleocharis dulcis (spikerush) grow extensively in a wetland system treating livestock wastes at Pontotoc, Mississippi. Other submerged macrophyte Vallisneria americana (wild celery) together with P. pectinatus grow in a large treatment wetland at Minot, North Dakota. Submerged plants-based CWs are also successfully used to treat agricultural runoff in order to prevent eutrophication of the Florida Everglades. The major species occurring in these wetlands are Ceratophyllum demersum (coontail) and Najas guadalupensis (southern water nymph). The use of submerged macrophytes for the wastewater treatment is still in the experimental stage, with species like Egeria densa (Brazilian elodea), Elodea canadensis (common waterweed), E. nuttallii (Nuttall waterweed), C. demersum, Hydrilla verticillata (hydrilla), Cabomba carolini-ana (fanwort), Myriophyllum heterophyllum (variable-leaf water-milfoil), and Potamogeton spp. (pondweeds) being the most promising. This category may also include systems with macrophytic algae from the order Characeae, that is, Chara and Nitella, which are used, for example, for treatment of mine wastewaters in Canada. See also: Biodegradation; Climate Change 1: Short-Term Dynamics; Constructed Wetlands, Subsurface Flow; Denitrification; Freshwater Marshes; Nitrification; Volatalization.